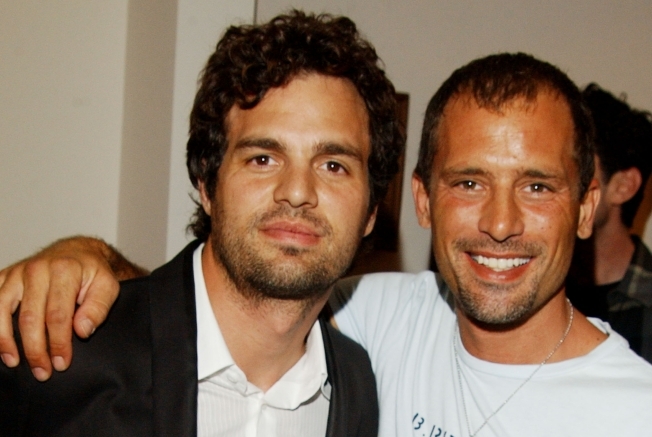 Scott Ruffalo, right, brother off actor Mark Ruffalo, died a week after he was shot in the head. LOS ANGELES — The Los Angeles county coroner's office on Wednesday ruled the death of actor Mark Ruffalo's younger brother a homicide. Coroner's spokesman Craig Harvey said an autopsy determined that someone shot 39-year-old Scott Ruffalo in the head. He was found with a gunshot wound early Dec. 1 and died a week later at a hospital after being released from life support. Beverly Hills police arrested Shaha Mishaal Adham, 26, before Ruffalo died on an attempted murder warrant. They later released her and she has not been charged. The woman's attorney, Ronald Richards, who said after her release that Scott Ruffalo shot himself, disputed the coroner's determination Wednesday night. "The only two eyewitnesses to the shooting saw the same thing, a gunshot wound to the left side of the head, while one of them saw him pull the trigger," Richards wrote in an e-mail. "They saw the gun in his left hand after the shot was fired." He said no gun residue had been found on Adham's clothes and that police had not requested another meeting with her. Police do not have any suspects in custody and had not been notified of the coroner's determination by Wednesday evening, Sgt. Michael Publicker said. He said the agency had no further statement on the case. Scott Ruffalo's family released a statement after his death thanking supporters and saying the funeral would be private. Mark Ruffalo, 41, has appeared in films such as "You Can Count on Me," ''Zodiac," ''Eternal Sunshine of the Spotless Mind" and this year's "Blindness."